Coriander stem chutney is yet another recipe that i learnt during my sojourn in Bangalore. The whole recipe is based on balance of different flavours (sweet, salty, sour & spicy). It is a change from the coconut based and tomato based chutneys that i am used to. This chutney is made using “tender” coriander stem. I did add a few coriander leaves for the colour. Clean and chop the tender coriander stem and coriander leaves and keep it aside. Grind the grated coconut and green chillies finely. Now add the tamarind pulp, coriander stem & leaves, turmeric powder, sugar and salt. Heat 2 tsps of oil in a pan and add the mustard seeds. When it pops add the other ingredients mentioned under tempering - in the same order. Add this to the coriander chutney. 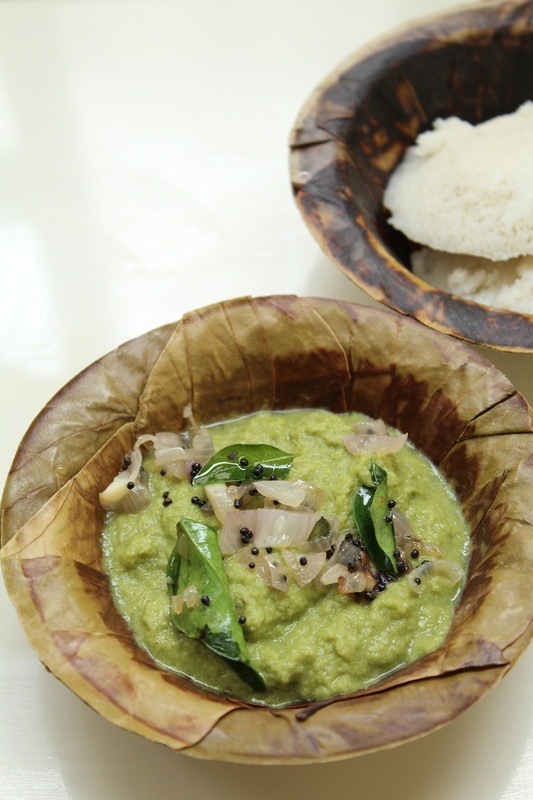 Serve with Idlis, Dosas and Upma! Ensure to use only tender coriander stems for the chutney, otherwise the stems will lend a fibrous feel to the chutney.